This book sounds great! Thanks for sharing your review. I just finished my second pair of socks and am already planning my third (Hermione’s Everyday, I think!). I’m mostly a selfish knitter, but that’s partly because I’m not confident that I can make something that will fit another person. It sounds like this book is the perfect fix for that, though! 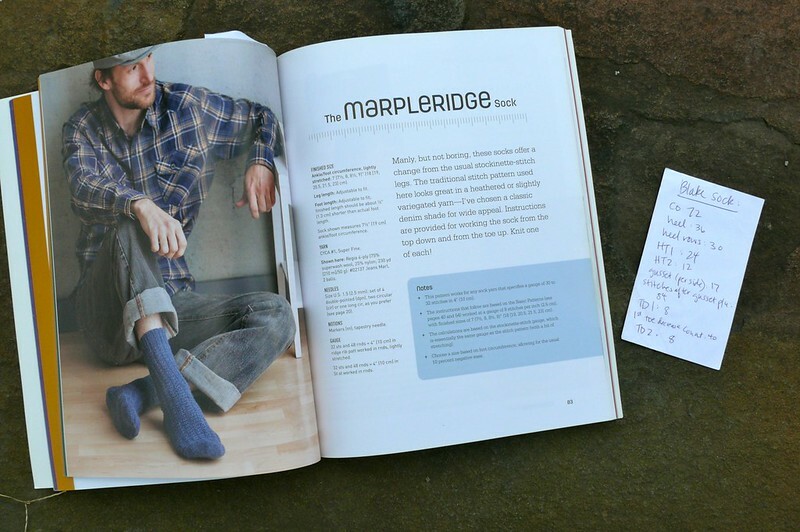 Also, your Marpleridge socks are amazing! What a great book! Just now I’m in a sock frenzy: knitting toe up socks with 9 inch circular needles! I’ve never tried little circs! Is it really speedy??? Oh yay!!! 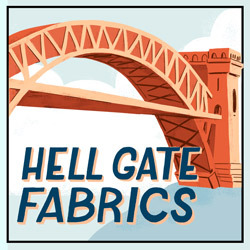 I know you’ve had such difficulty finding yarn- I’m so glad you found some that you can use! What’s the fiber content? Thanks for sharing your review of this book! 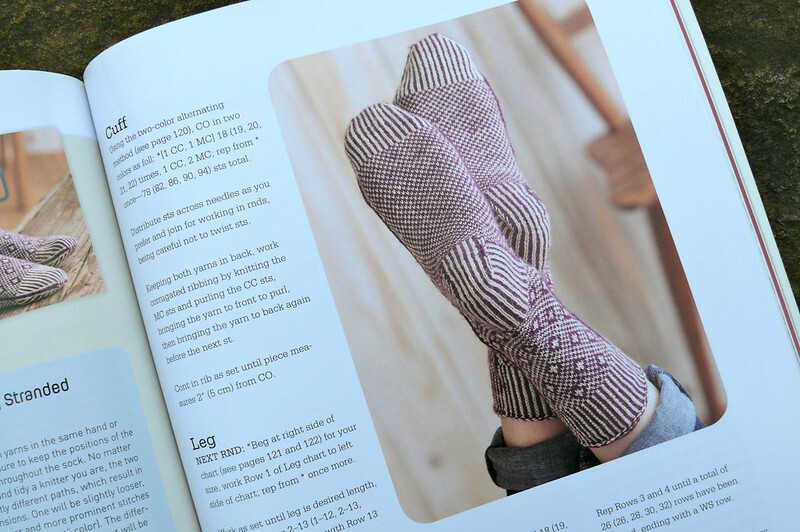 I’m new to knitting but am sock-obsessed, which is now spilling over into wanting to knit them for the few knit-worthy people in my life. This book sounds like a great way to achieve that without forcing friends to let me take a tape measure to their feet (which ruins the surprise)! Very cool! 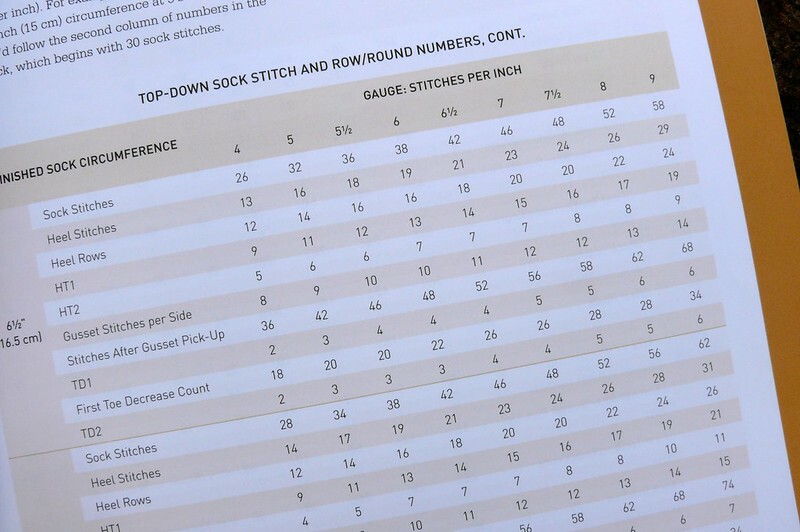 I especially like the idea of charts to help figure out the math, and more customized sizes than just “medium” etc. 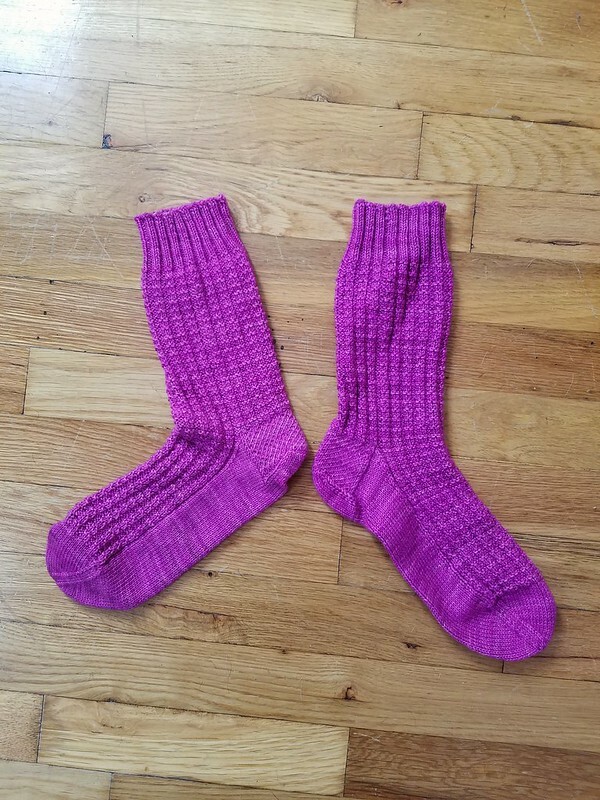 I’ve yet to knit socks for anyone else on purpose … although I do knit other people other things, and I’ve given away socks that didn’t fit me but fit someone near me! PS I’m still sort of in awe of your finishing a pair of socks in a month. I used to knit a ton when traveling, and basically not at any other time. Now that we’re home more (hooray! ), I think I need to figure out some new times to fit in a little knitting. How do you do it? I have a long subway commute so I get all my sock knitting done on the train! I keep a project in my bag, and I can pull it out whenever I’m waiting around or something. I try to work on a bigger knitting project on weekend evenings, but I’m making slow progress with that because my homework and extra work load has been too heavy. But maybe if you make it a thing that you do, say, Saturday evenings, or 15 minutes in the morning or something you’ll find that it’s a bit of a ritual for you? Speaking of late replies … yes, I actually try to knit a little bit every day before bed, but it doesn’t always happen. It’s something I started when I learned to spin, and I have to be honest that I love the process of spinning more than the process of knitting, so I’m much less likely to skip it if I’m spinning. But if I don’t do something with the yarn, what’s the point of spinning it? My current knitting isn’t handspun, but it is a sweater I will absolutely love to have finished. Still that doesn’t seem to be enough motivation to pick it up … I’m trying to think of pockets of time to work on it, take it with me when I might have to wait (although it’s big enough to need its own bag), and embrace the fact of doing just a few sleeve rows at a time. A few rows is still progress! 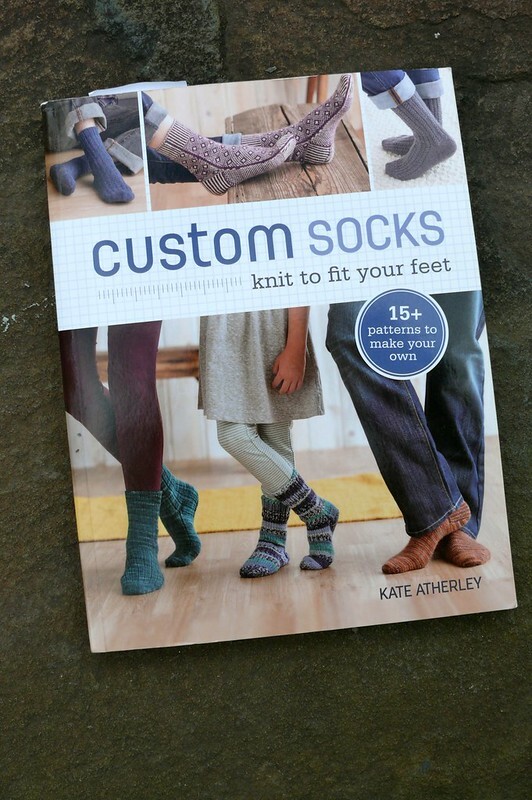 As a sock knitter who really sticks to a simple vanilla sock pattern this is a super resource to branch out a little. Thanks for the great review…I’ve added it to my Christmas list! 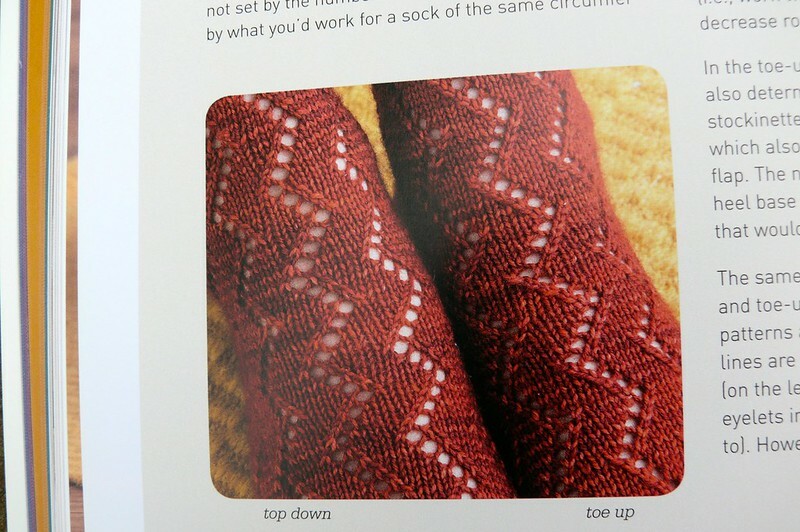 I need a pair of those Carpita socks in my life! Isn’t that a lovely pattern? It looks fun to knit, too! Do you ever do colorwork? Oh man you must love people A LOT to make them socks. I haven’t even gotten up the courage to do them for myself yet (although of course I already have yarn stashed.) 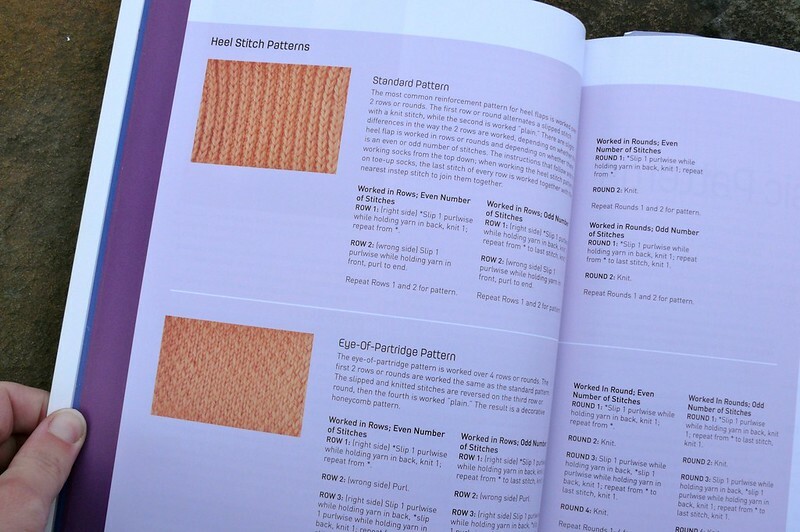 I do like more books for knitting though! I definitely keep this post saved – for any upcoming birthdays. What a great gift! Thanks for sharing. Have a happy new year!